JOHN A. STOCKTON was born in New Jersey around 1853 to Richard and Deborah Stockton. The family was living in Camden's Middle Ward in 1870. Richard Stockton earned his living as a carpenter. Also at home were older sister Sarah Frances and older brother Arthur Stockton. John A. Stockton appears in the 1880 Census living with his wife Ruth, sister Sarah, and brother Arthur at the home of his widowed father, 538 South 5th Street in South Camden. This would be his home until his passing in 1927. John Stockton and his brother worked as milk dealers. Ruth Stockton bore a son, A son, Frank, in November of 1882. 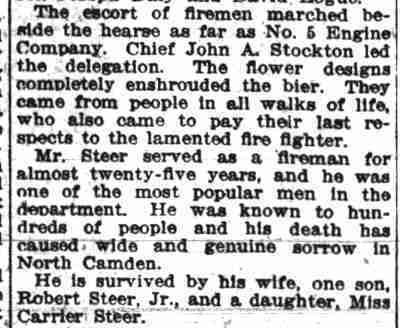 In 1886 the Camden Steam Fire Engine Company Number 1 was located at 409 Pine Street in a three story 20 by 90 foot brick building (the old Independence Fire Company No. 3 engine house). The company's apparatus was an Amoskeag second class steamer (maker's plate 6318) drawn by two horses and one Silsby two wheel hose cart drawn by a single horse. 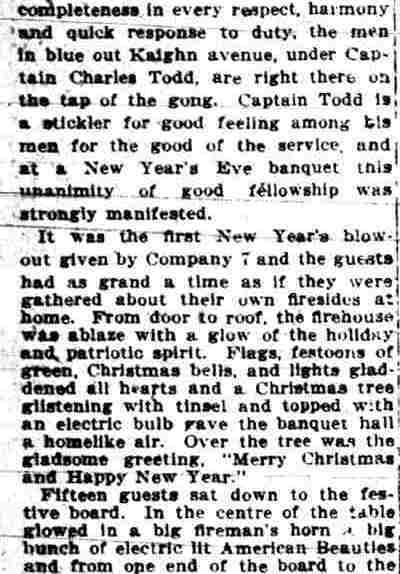 The company was equipped with 1000 feet of good hose, axes, lamps, etc. 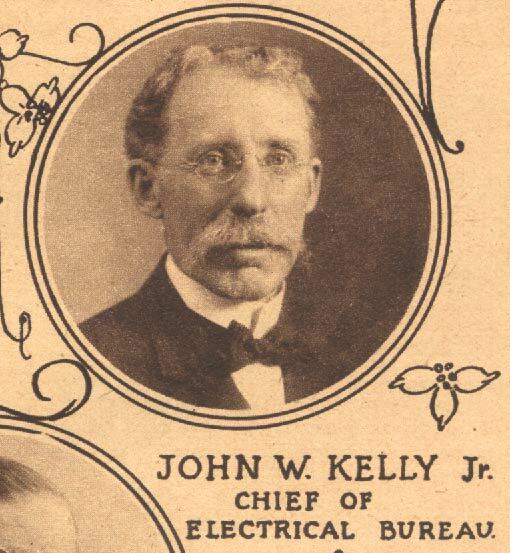 The company roster included John Stockton, Foreman; G. Rudolph Tenner, Engineer; William Deno, driver; William W. Laird, stoker; Wilson Bromley and Jacob F Nessen, hosemen. 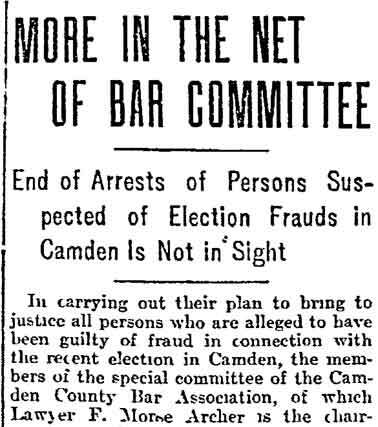 Call Men were William Deith, Andrew Miller and William Bogia. Bromley and Bogia would later suffer line of duty deaths. John A. Stockton appears in Camden' city directories as living at 538 South 5th Street, the corner of South 5th and Royden Streets, in 1887. 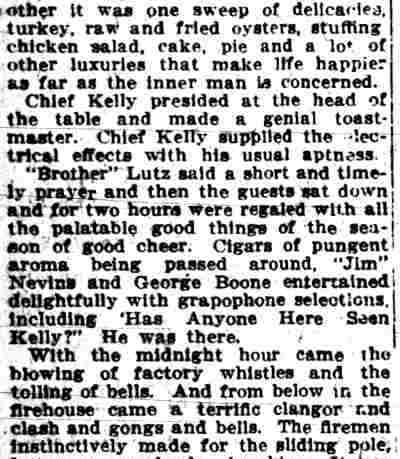 In the mid-1890s he also partnered with Harry Frebe in a cigar store at 539 South 5th Street. 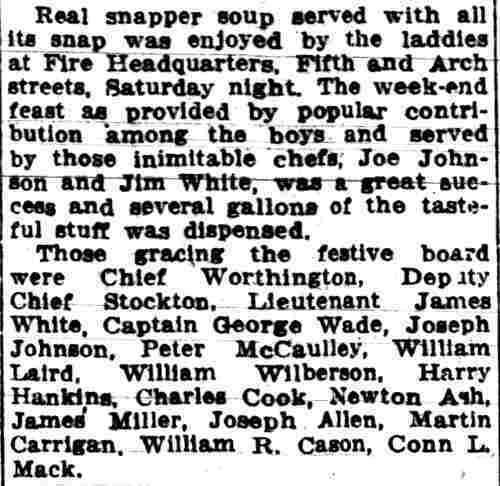 Sometime between 1906 and April of 1910 his son, Frank Stockton, had joined him as a member of the Camden Fire Department. 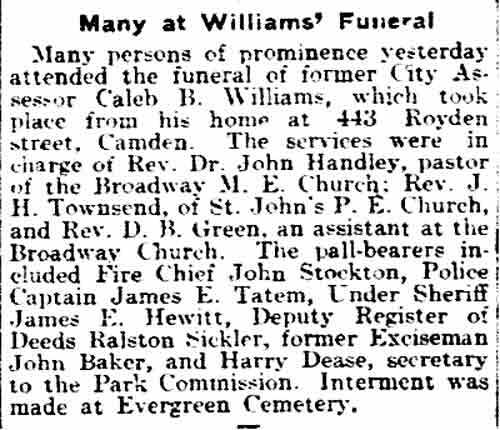 It appears, however, that Frank Stockton had passed away prior to the compilation of the 1914 Camden City Directory. 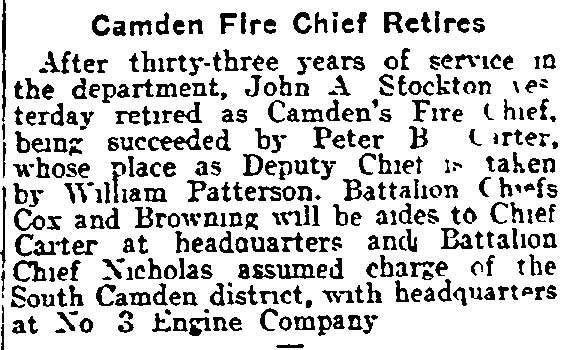 John A. Stockton was serving as Deputy Chief of the Camden Fire Department in May of 1914 after Chief Charles Worthington was killed in the line duty while fighting a fire at the the Camden Electroplating Company at Delaware Avenue and George Street, near the Pennsylvania Railroad Ferry in the center of Camden. 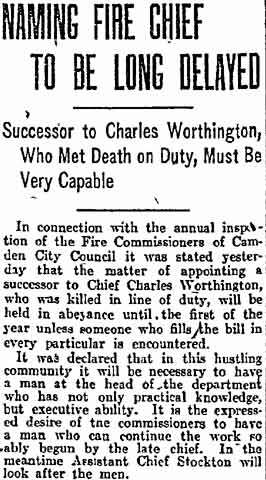 Chief of Department Worthington was one of the first units to arrive at the scene and observed heavy fire conditions on the top floor of the two-story building. Chief Worthington ordered an exterior attack from the roof area through large skylight openings. This operation was made particularly arduous by heavy smoke. 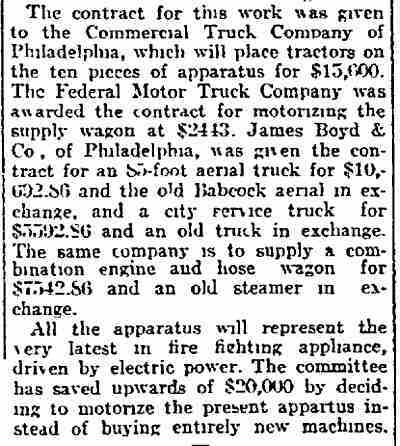 The fire extended from the plating company at 12 George Street, to involve the New Jersey Automobile Supply Company car dealership at 38 Delaware Avenue. 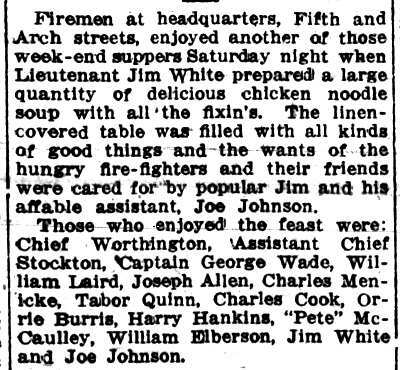 On the roof, Chief Worthington conversed with Deputy Chief John A. Stockton and Captain Madison of Engine Company 5. 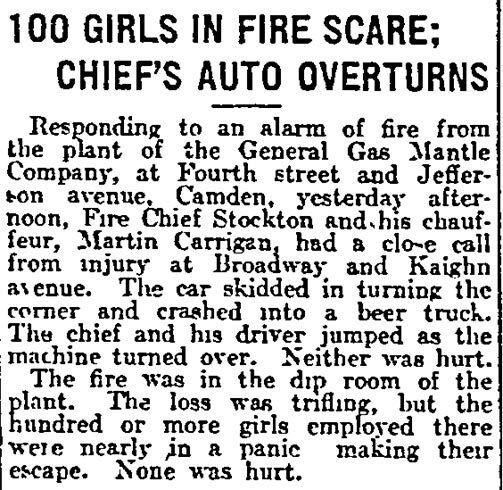 Chief Worthington directed Stockton to go down to the street, transmit a second alarm, and also have an engine company stretch a line up the alley. Chief Worthington then left the men and proceeded along the roof to the south side of the building where he was last seen. 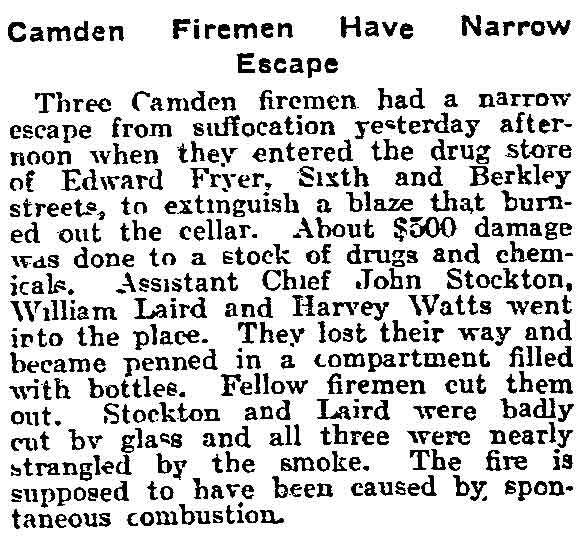 When Stockton brought the hose team up the alleyway, he found the unconscious Chief laying next to the building. 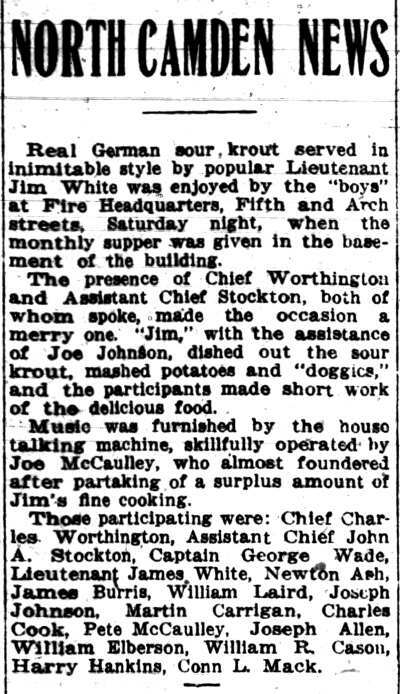 Chief Worthington had apparently stepped back on the roof to avoid a skylight and fell into a shaft between two buildings. The Chief had landed on a pile of scrap iron which inflicted serious wounds including a deep gash on his neck. Deputy Chief Stockton and Police Chief Elias Gravenor assisted firemen in removing Chief Worthington from the alley where he was rushed to Cooper Hospital. He was pronounced dead on arrival with a broken neck and fractured skull. 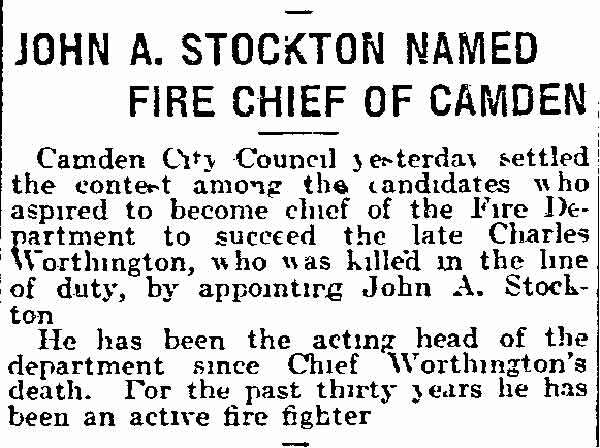 In the wake of Chief Worthington's death, John A. Stockton was appointed Chief of the Camden Fire Department in May of 1914. 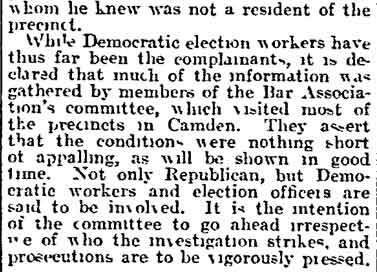 While serving in this capacity, there was one major conflagration in the city of Camden. 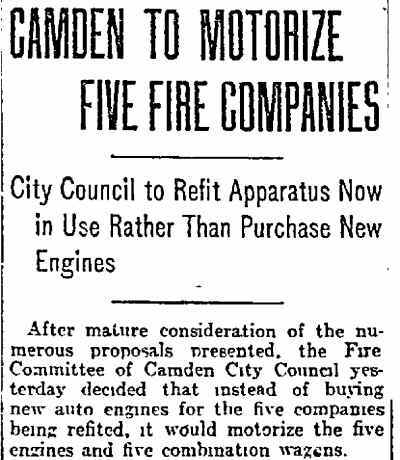 The Munger & Bennett Mill fire was discovered shortly before 6:00 PM on November 12, 1914, in the big planing mill near the pier at Delaware Avenue and Clinton Streets, South Camden. 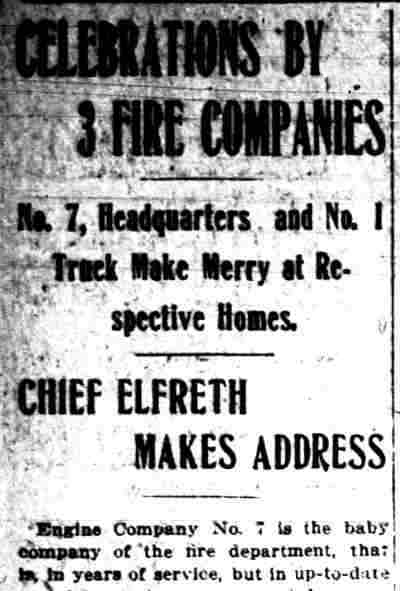 This incident was one of the most spectacular fires in years, destroying a large section of the lumber yard extending to three warehouses of the West Jersey Paper Company and the tramway of the Philadelphia steel and wire plant. High winds from the river fanned the fire and quickly drove the flames into the big lumber the big lumber piles in the yard. A telephone alarm was received at Fire Headquarters and upon his arrival. Chief Stockton transmitted four alarms in rapid succession, plus additional calls for mutual aid. Companies arriving on Greater Alarms were hampered by the closing of Delaware Avenue for repaving. Apparatus had to be placed two and three blocks from the fire necessitating long and arduous stretches of hoseline. At the height of the blaze it appeared that several big factory complexes in the area were doomed, as over one million board feet of finished lumber produced a roaring inferno. 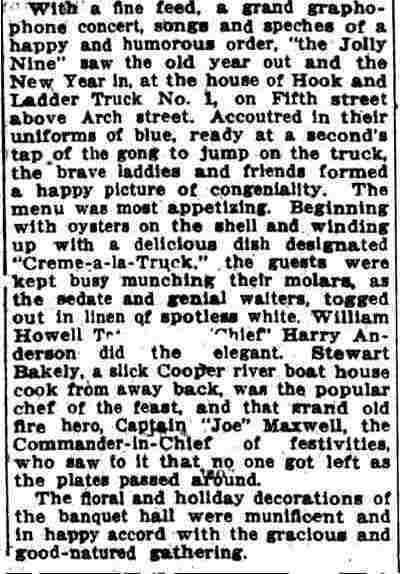 Industrial fire brigades from the nearby Victor Talking Machine, Camden Lace, and David Baird Spar Yards were pressed into service to assist the Department in conjunction with at least four tug boats that fought the fire from the river anchorage. 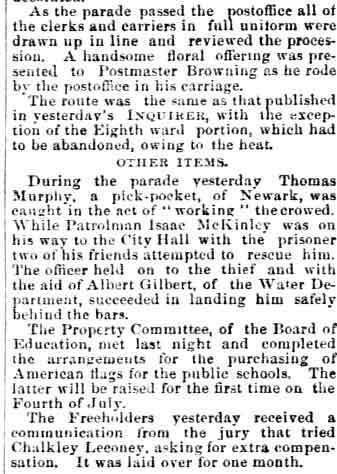 The tugs were credited in saving thousands of dollars of property. The estimated loss exceeded $150,000 and resulted in injuries to one civilian and seven firemen. 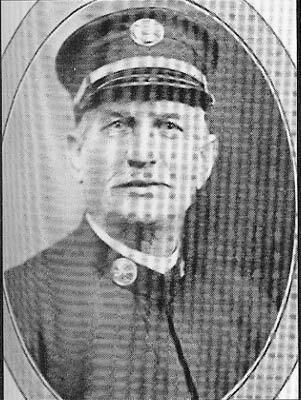 On July 29th of 1915, after a career that spanned four decades, Chief John A. Stockton announced his retirement, effective October 1st. He was succeeded as Chief by Peter B. Carter. 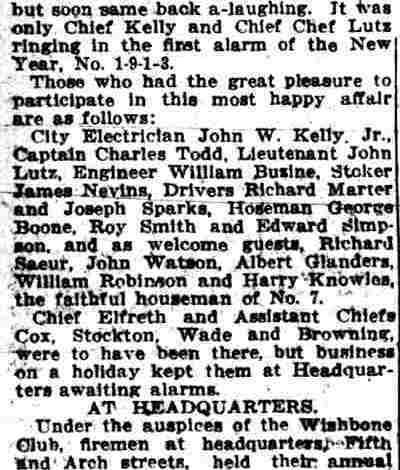 John and Ruth Stockton were both still living at 538 South 5th Street in January of 1920. 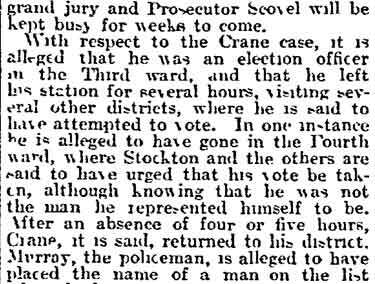 Chief Stockton died in 1927. 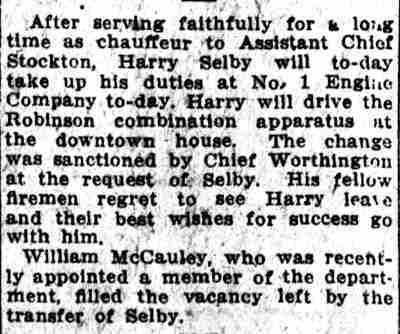 His wife continued to reside at the home on South 5th Street until her passing in February of 1938. 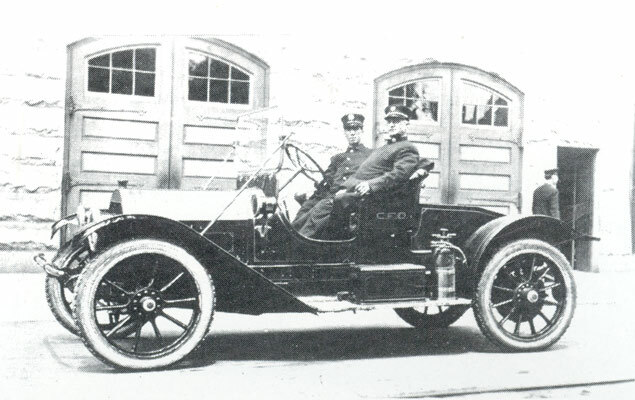 Aide Fireman Martin Carrigan with Chief of Department John A. Stockton in 1913 Cadillac at Fire Headquarters, Fifth and Arch Streets. Mrs. Ruth A. Stockton, 73, of 538 South Fifth Street, widow of the late Fire Chief John A. Stockton, died on Saturday. Mrs. Stockton had lived at the Fifth Street address more than 40 years. Her husband died in 1927. 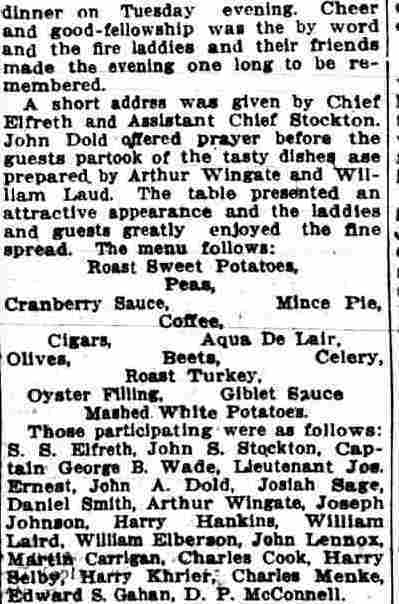 Mrs. Stockton is survived by a brother, Edward Jordan, Camden, and a niece, Mrs. Ruth Pettit, Camden. 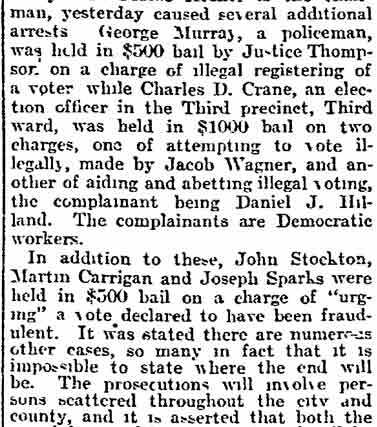 She was a member of the Fourth Ward Women's Republican Club. The funeral will be held at 2 p. m., Wednesday, at 453 South Sixth Street. Burial will be in Evergreen Cemetery.